United Kingdom - The very first of one of the hottest fast Fords ever produced will be offered for sale by Silverstone Auctions at the May Sale at Silverstone Circuit on May 19. The 1987 Ford Sierra Cosworth RS500 is the very first of just four pre-production cars ever built, and the only one ever made by Ford. Production of the other 499 examples, which were only sold through 90 carefully selected RS specialist dealers, was carried out by Tickford. 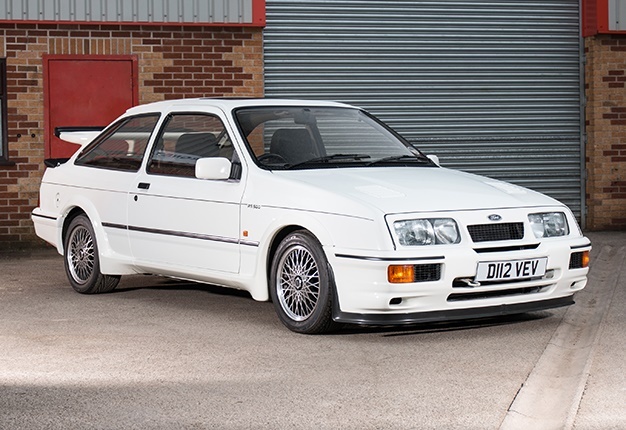 The car for auction has been confirmed by an expert and known RS500 specialist, Paul Linfoot, to be chassis number one, making it the first of four RS500 pre-production models. The ‘Holy Grail’ fast Ford has been given a pre-sale estimate of $122 130 to $166 000 by the auction house. That's worth about R1.5-million to R2.1- million to South Africans. “It’s chassis number 1, the first RS500 ever built! This car is truly a one-off, and for any serious Ford collector, this must be the car to have - the one that started it all,” said Nick Whale, managing director of Silverstone Auctions. Chassis number one was the original test vehicle, driven by Ford to test all aspects of the car’s special components before the final sign-off could be agreed. As with most prototypes, it was driven hard, and chassis number one was consequently re-shelled by Ford into a brand-new service shell. As with all four prototype models, Ford eventually sold chassis number one, which went to its first owner in March 1987. The car has since passed through the ownership of five more custodians over the next 20 years. It was exported to Norway in October 2007, where it spent the next 10 years, until February of this year when it was sold to its current owner. Today all the unique RS500 parts are present and correct, these being the front bumper, lower splitters and the special rear spoilers. The RS500 pinstripe and commemorative 500 badges are also present. Other special features of the RS500 include the engine bay which is heavily modified over the standard Sierra Cosworth, with many unique parts fitted. 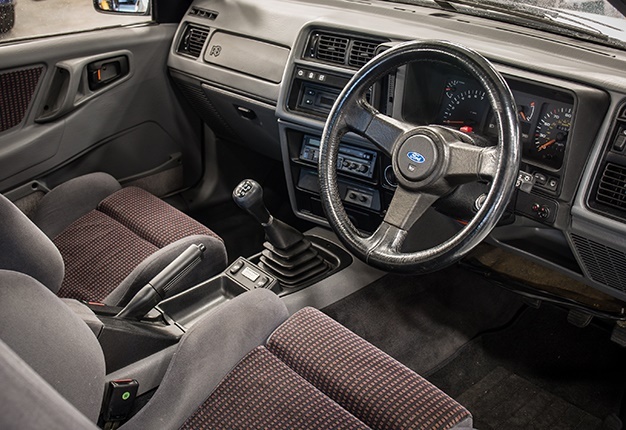 The only aspects of the car that have been replaced are the top section of the dashboard and the exhaust, which has also been replaced with a stainless steel Magnex system. Nick continues, "recently we have seen a growing interest in fast Fords, and the prices have risen to record-busting levels. I can't recall there ever being a Ford prototype coming to auction, and I can't see this happening again. 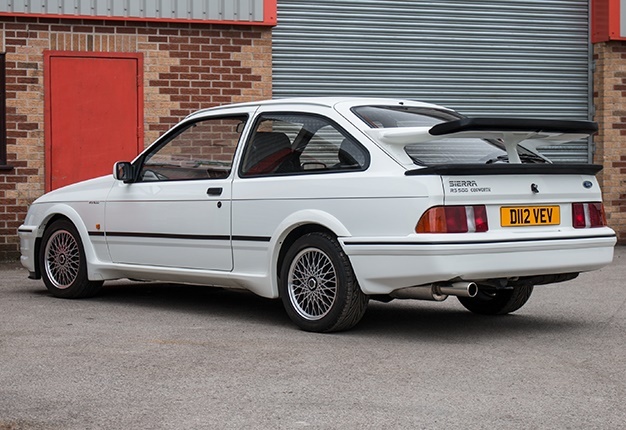 This is a very special and rare RS500 that presents very well and is a car that can be driven, enjoyed and is a great addition to any collection." Chassis number one comes with a comprehensive history file which includes a number of old MoTs, some early tax discs and the usual registration and ownership information, as well as the report by leading marque expert, Paul Linfoot.